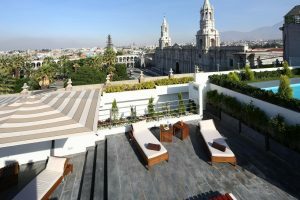 Our Casa Andina Select Arequipa is a great hotel, the third chain hotel in the city. 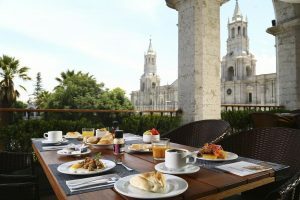 With a excellent location, opposite the main square (Plaza de Armas) in the historic center of the city is the ideal place to get a great view of the cathedral. It has 58 comfortable rooms equipped with: air conditioner, great shower with plenty of hot water in 5 floors totally New refurbished. 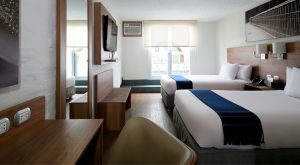 With a modern and functional design, this hotel is the best choice for travelers who value efficiency and service. 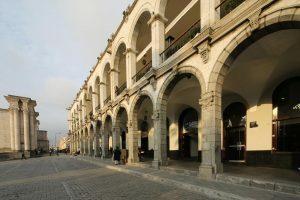 We invite you to enjoy the Casa Andina experience in the “White City”. Enjoy the free extras we offer like: buffet breakfast, room service, free wifi. With a modern and functional design, this hotel is the best option for those travelers who have an early flight because they can enjoy the time in Arequipa in our communal areas as our restaurant La Plaza Bar & Grill.